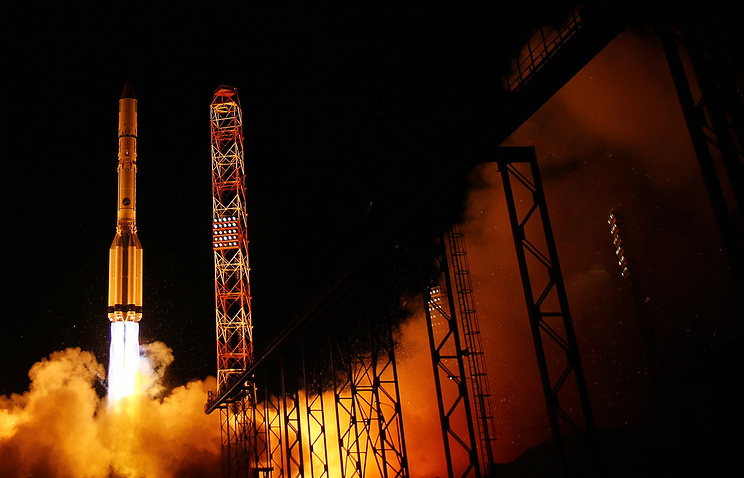 Russia launched a military communications satellite Friday morning, with a Proton-M/Briz-M rocket lifting off from the Baikonur Cosmodrome to deploy Blagovest No.13L into geostationary orbit. 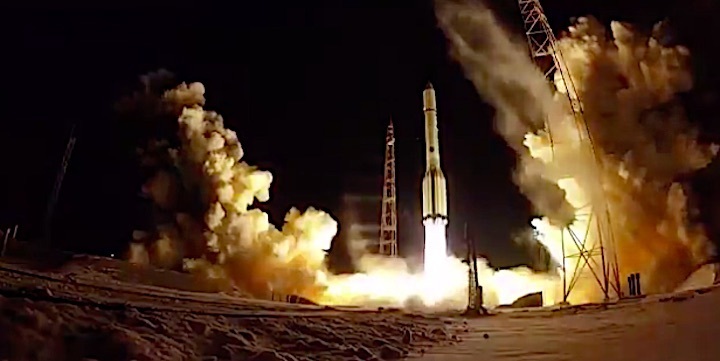 Launch occurred on time at 05:20 local time (00:20 UTC), although it will be nine hours before Proton’s payload separates into its final orbit. 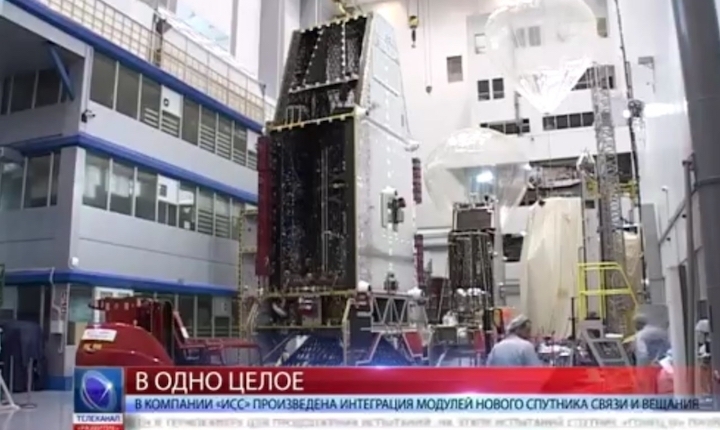 After deployment Blagovest No.13L will be renamed under the system of Kosmos designations that are applied to most of Russia’s military spacecraft. Under this system of sequential numbers dating back to 1962, the satellite is expected to become Kosmos 2353 – although this will not be confirmed until the satellite is safely in orbit. 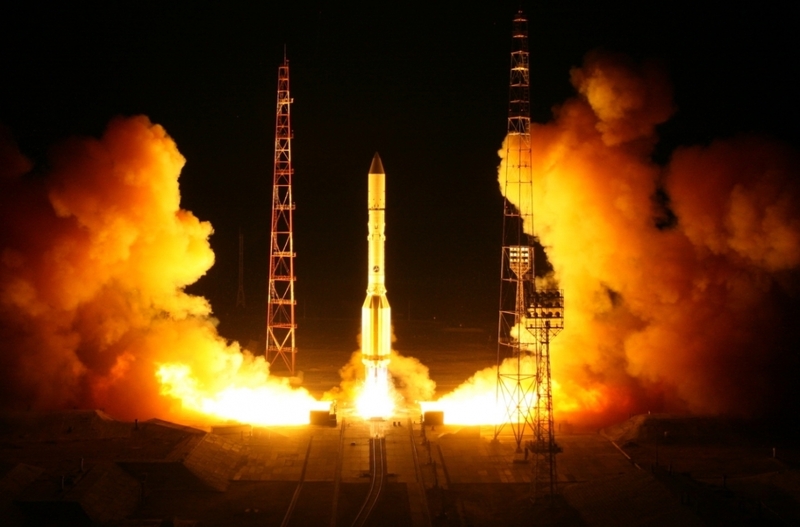 If November’s Rokot launch carried more satellites than have been officially announced, Blagovest could be given a higher Kosmos number. 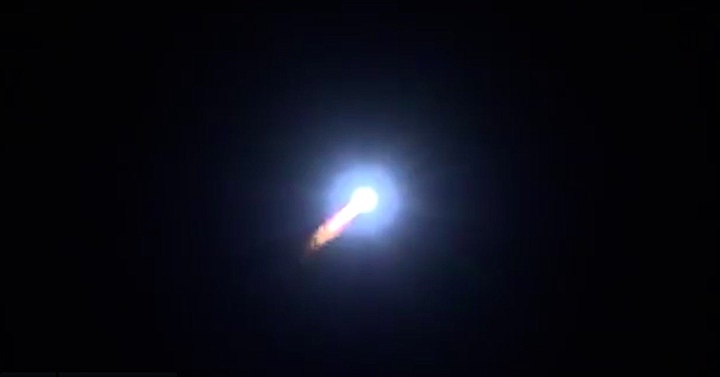 Shortly after the end of Proton’s third stage burn, Briz-M separated from the third stage. 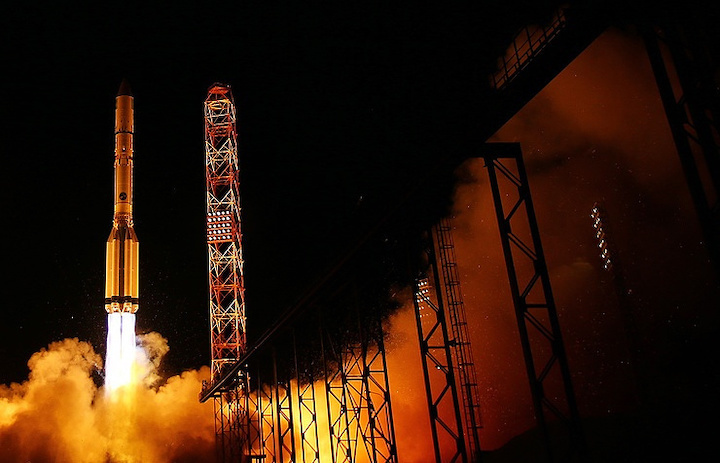 The Briz-M upper stage is powered by an S5.98 engine and can make multiple burns, allowing complex flight profiles such as the one that is being used for Friday’s launch. Its first burn will begin about a minute and a half after separation, firing for four minutes to complete insertion into a parking orbit. Over the next nine hours, Briz will make three more burns: these will initially raise the orbit’s apogee to an intermediate altitude, and then to a geosynchronous transfer orbit. After jettisoning its auxiliary propellant tank, Briz-M’s fourth and final burn will raise the orbit’s perigee and decrease its inclination, leaving Blagovest in geostationary orbit. 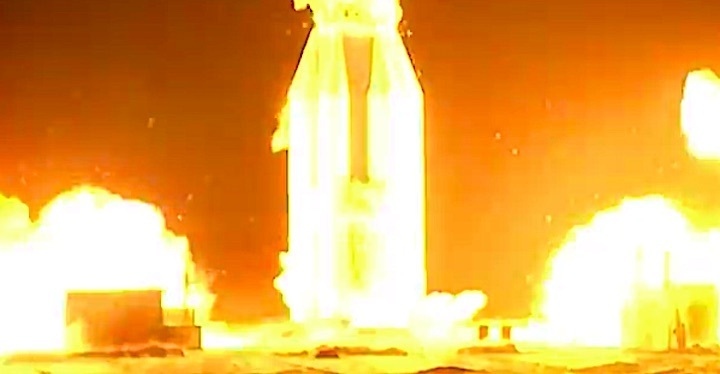 Spacecraft separation will occur shortly after the end of the fourth burn.